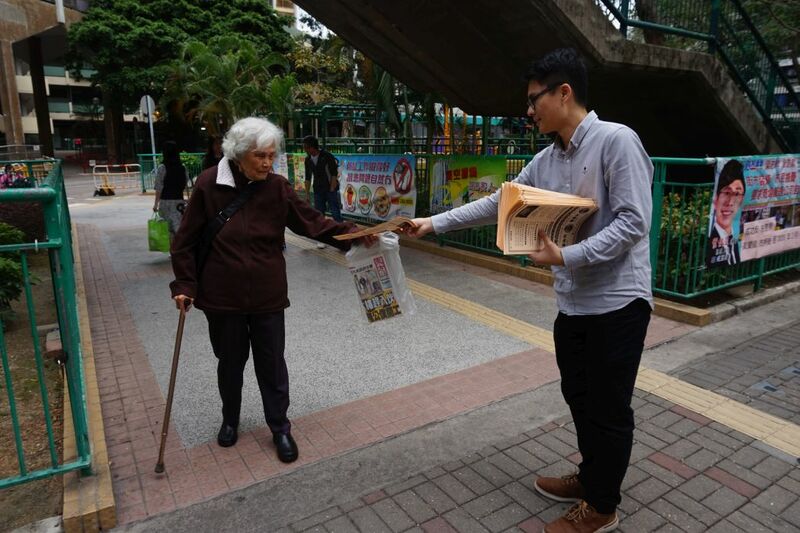 Tam Chun-yin was busy on a recent Monday afternoon assisting residents of a Tuen Mun public housing estate to fill in the forms which will enable them to claim a HK$4,000 cash handout from the government. 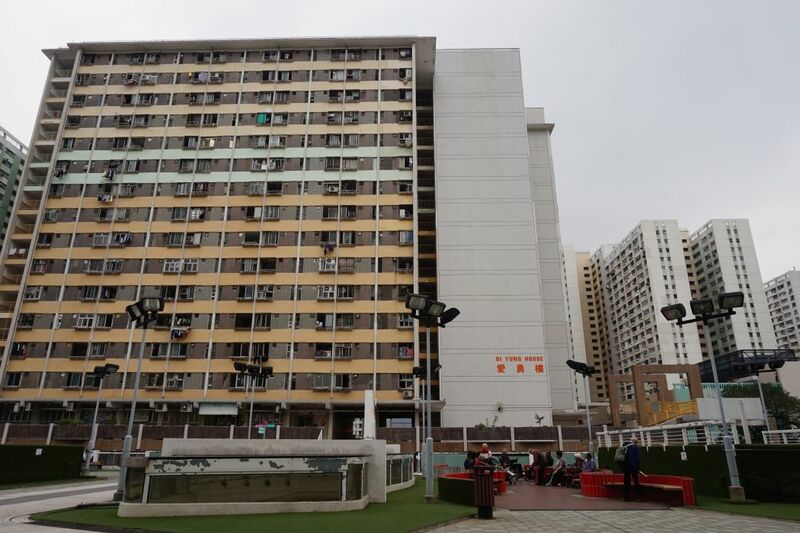 The cash would help residents living in the Tuen Mun public housing estate, but the Labour Party district councillor said residents were more concerned about the fate of the wet market in the estate’s shopping mall – a necessity in the area. 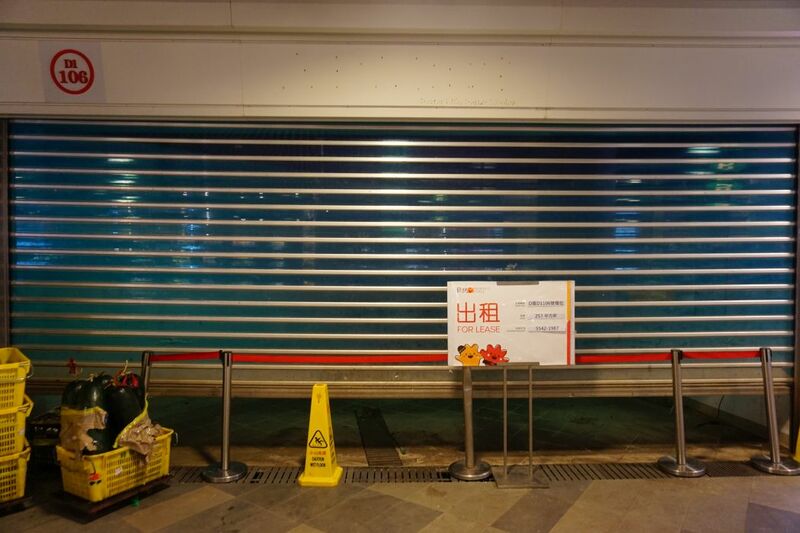 A vacant shop at the Tuen Mun H.A.N.D.S. mall wet market. Photo: Kris Cheng/HKFP. Seven out of 52 stalls in the market have been vacant for more than a year. The mall’s new owner, Gaw Capital, said it planned to renovate the mall and increase the number of stalls in the market to 60. The reasons Gaw Capital gave were that the market’s hygiene and range of stalls needed to be improved. 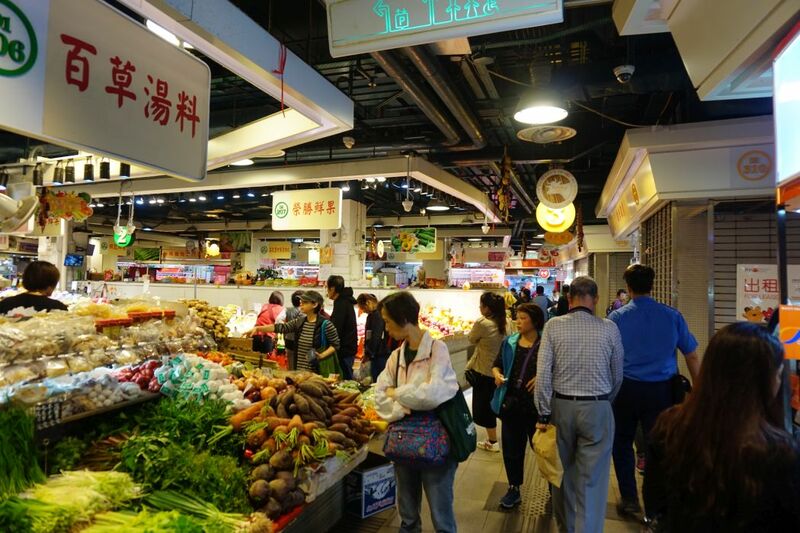 After pressure from district councillors, lawmakers, shop owners and residents, Gaw Capital decided to extend the deadline for taking back the market from June 30 to March next year. Residents are still worried about what the future will hold. Tuen Mun H.A.N.D.S. mall wet market. Vacant shops can be seen on the right side. Photo: Kris Cheng/HKFP. By the deadline, half of the current tenancies will have ended and they wonder if the market will be replaced by chain stores. The temporary closure of the wet market would not only affect around 40,000 people living at the two nearby public housing estates. Ms Mok, 73, told HKFP that she lives in the neighbouring Goodview Garden – around a ten-minute walk away – and other local markets were too far for her to walk to. She said a brick of tofu was selling for HK$5 in the wet market, which was HK$1.50 more expensive than in other street markets. “I have no choice but to buy here,” she said. Tuen Mun H.A.N.D.S. mall wet market. Photo: Kris Cheng/HKFP. The mall has been a flagship of the Tuen Mun housing estate since it was built as a government-run facility in 1980. Once space for small community businesses, things began to change in 2005 – the year that Link Real Estate Investment Trust took over public housing malls and changed them to profit-making businesses. 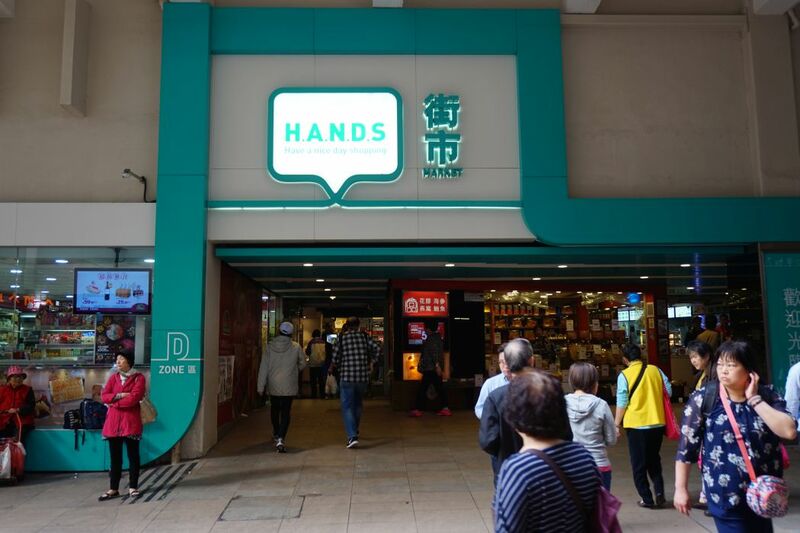 The Tuen Mun community market became a major project for Link, which spent nearly HK$500 million to renovate it and renamed it H.A.N.D.S. mall – meaning “Have A Nice Day Shopping.” It reopened in 2015 but many residents were unhappy with the changes. The row over Link has become so pervasive that it has been described by Chief Executive Carrie Lam as one of Hong Kong’s “three mountains” – the most difficult issues that the government has to face. Critics accuse the company of forcing small and family-run shops out of shopping centres largely through rent increases, replacing them with higher-end stores. Tam Chun-yin. Photo: Kris Cheng/HKFP. Now the market faces yet another renovation, to the chagrin of many residents and local leaders – and this left many wondering if the new owner was just as bad as the last. Tam said many of the shopkeepers in the market were taken unawares by the renovation. Gaw Capital has invoked a provision in the market stalls’ contracts which says that they can take back the shops with six months notice. Tam said he was concerned as Link had never invoked the provision to take back a whole market. “Some tenants were really frustrated by this. Some extended their contract very shortly before, some just two months ago. A roast meat shop told me they had just invested hundreds of thousands of dollars, and they would have to leave before they had time to break even,” he told HKFP in early March. Lam Ming-yan, community officer at Tam Chun-yin’s office, giving out leaflets against the introduction of chain stores at the wet market Photo: Kris Cheng/HKFP. 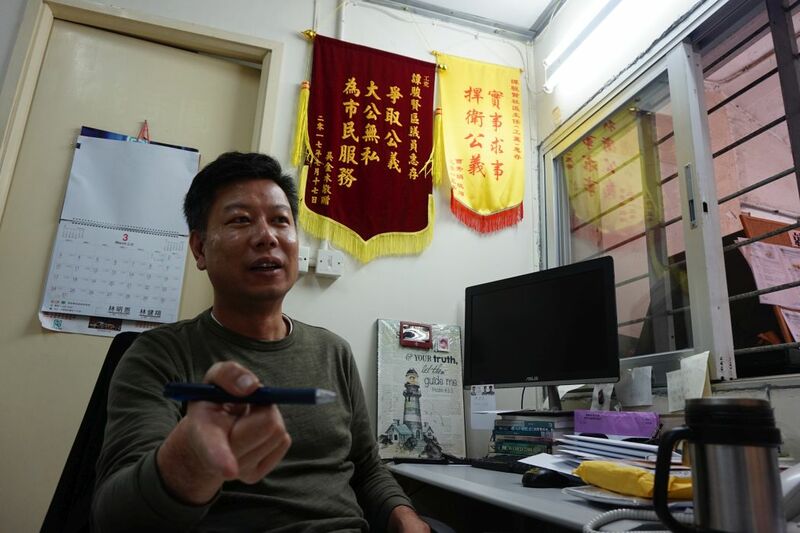 District councillor Tam said he believed the renovation was just a way for Gaw Capital to gain back its investment, by introducing large chain shops afterwards. “They used HK$5 billion to buy the mall – let’s say they run it for ten years, they have to make a HK$500 million profit every year. How can they make that amount? The only way is to increase rent, increase it on a crazy scale. That’s why they are now planning to subdivide the market,” he said. Gary Wong. File Photo: Apple Daily. 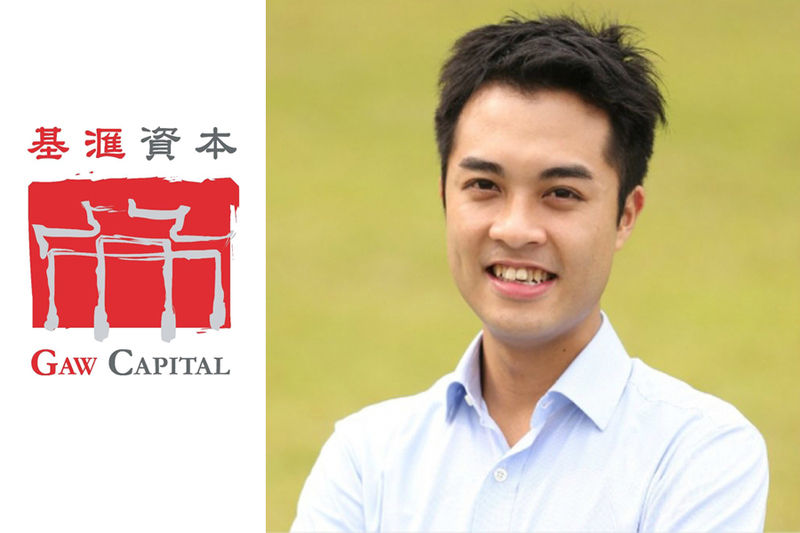 Gary Wong, Gaw Capital’s Director of Public Affairs and Marketing, told HKFP in response that the equity fund had worked hard for a year to attract tenants, to no avail. Wong said they had consulted residents and heard calls for a greater diversity of shops. He said prices at the market would not be more expensive than before. “If it is more expensive than residents can afford, they will just move to other malls in the area,” he said. Yau Oi Estate. Photo: Kris Cheng/HKFP. Wong said Gaw Capital has never compared its management to that of the Link, adding that his company focused on “providing a new imagination” for residents over service of shopping malls. He said he understood the incident at the Tuen Mun mall had become a political one and there was resistance to the changes. But he said after the government sold its public housing estate malls to the private market, there is “no turning back” since the government has decided it will not purchase the malls back. “Now we can only think about how private companies can do better to improve our communities,” he said. 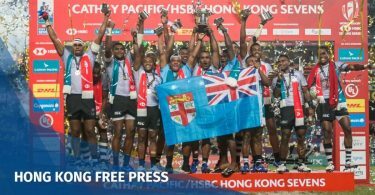 The Hong Kong Free Press #PressForFreedom 2019 Funding Drive seeks to raise HK$1.2m to support our non-profit newsroom and dedicated team of multi-media, multi-lingual reporters. HKFP is backed by readers, run by journalists and is immune to political and commercial pressure. 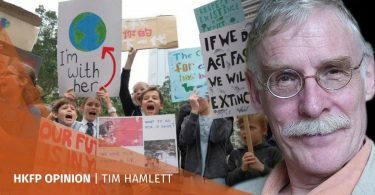 This year’s critical fundraiser will provide us with the essential funds to continue our work into next year.